That is nice to know there are some compatible charger for s853 out there. I have tried charging using usb cable from car fm modulator however it's only charging on first time , but next time the usb signal appear on screen & it won't charge. no chance yet to compare sound with w550 but one w900 owner has bow down to my s853 superb sound clarity when we play same song. hey guys, anyone experiencing problems with OT-S853? 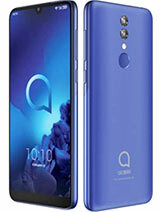 me bought Ot-S853 phone 2 months ago, now i cant send or receive msg(s)....anyone happens to be the same? There are substitution for s853 car charger. My bro use ipod car charger to charge while in phone. thanks for the info you've provided. 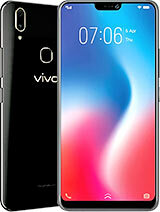 i really want this phone coz its got everything i need. 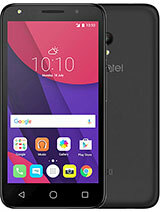 Ladies and gentlemen, let me proudly present Alcatel 853 being finally on the official website. Enjoy. BTW, there's the PC Suite 4.18, so everybody can download it easily and comfortably. This news makes me think that TCL ain't forgetting the brand and perhaps all the bad issues will be settled at last. the last version of firmware is 169.
i got the chance to see and hold this phone today at the store. Now i'm interested of buying it. Yet, i need to know what is the latest firmware version of this unit. so that i know if i get the very latest. thanks to all! my brother bought this phone for me when he travel to philipine, but he didn't buy the car charger. S853 not release here in indonesia, so i can't buy the charger here. I see the charger with usb plug for O2 and motorola. Any one know if the car charger for motorola or O2 or anything else is compatible with s853? Again: What a g00000000000d product! 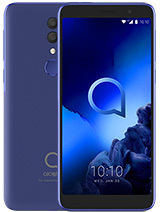 I have used 2 Alcatel phone(OT303, OT735) so far, and I like their quick access to feature and minimal response time. 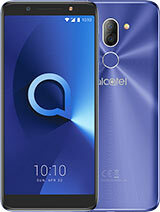 Alcatel phone are also very durable, physically and functionally. The only draw back the lack of Bluetooth and 3G. I got stuck in public transport all the time and often spend it surfing on my mobile. The question I want to ask is, how many language the malaysia version will support? Most importantly does it support Japanese ? 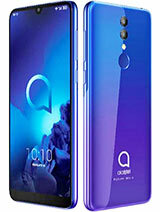 Please forget about comparing sounds between ALCATEL OT S853 with SE K750. K750 sound cannot even beat the sound of my OT 535. Thanks for the great advices MPU. tell ya the updates if i had any problems. hope not so :). hope u will get ur one fixed for the last time. 1. Leave your photos in you memory card and stick them to contacts from there. If you start bringing the huge amount of photos into your phone memory, they might start getting corrupted. And after that you might try to erase such a corrupted photo, the phone might hang, you might remove the battery and not to have a possibility to turn the phone on again. That's a bug called "going back to Pixmania for repairs". 2. Do not add more than 200 photos to your memory card, as the phone does not embrace more into the gallery. I brought more and started missing some, then my music disappeared from the gallery and etc. Just don't do that. Anyway, the rest is quite good. I did not surely want to get back to my 757, though it works faster than 853, but the screen is considerably worse and the sound does not match the 853 sound at all. So I hope you got the newer version of the firmware and you'll be just fine. 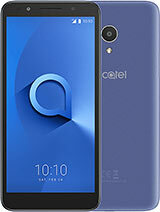 I ve just bought my alcatel 0t853. iam so happy to buy it. even i knew some critical drawbacks about the phone before buying it. i didn't try it for a long time. but the first impression the sound quality is never been b4 of any mobile phone. so loud & clear. the navigation menu is good. the display is not bad at all. its good. the package i bought includes 256 card which is read 244 MB not so bad for an alcatel mobile. a bought this mobile espcially for music. the bluetooth is only for wirless headset. don't try data transfer. as some ppl mentioned in battery saving mode the display blinks totally as my old motorola c650 (not so far a big problem). The guarntee is valid for 1 year. Another good thing that i was really amazed with that the mobile was able to connect to gprs without the need for settings adjustment from the operator. ill be updating on every little thing about it.